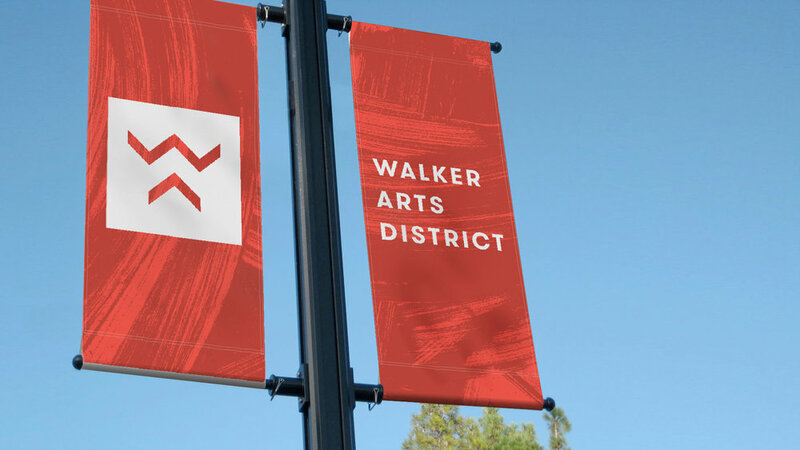 Norman Arts Council plans to install street flags brandishing the Walker Arts District name in the near future. Norman City Council proclaimed October to be Arts & Humanities Month in the City of Norman. This is in tandem with the designation of October as National Arts & Humanities Month, a coast-to-coast collective recognition of the importance of culture in America, encouraging participation in the arts and raising public awareness of the importance the arts have in our communities. October includes an array of fun and exciting arts and humanities events and more, locally. That includes another 2nd Friday Norman Art Walk from 6 to 10 p.m. on Friday, October 13 in the downtown Norman area now known as The Walker Arts District — as decreed by city council earlier this year — that just recently debuted branding from Norman graphic designer J.D. Reeves. This month’s art walk includes the Cultural Connections: Clermont-Ferrand in Norman — a sister-city art exchange — along with a free concert from Oklahoma hip-hop artist Josh Sallee at Opolis and a variety of other free arts events, concerts and more across The Walker Arts District. On Thursday, October 19, Norman Arts Council will debut the latest and final We Art Lindsey Street project: A projection mapped visual installation on the Goodwill Donation Center located at 1404 W. Lindsey. The projection —created by motion designer and digital artist Kyle Edward Van Osdol — will run from 7 p.m. to 3 a.m. each night, bringing the building to life with animation evoking science, technology and art. Van Osdol’s work has worked with the likes of Coachella, Flying Lotus, Clams Casino and Norman Music Festival. On Friday, October 27, the 5th Annual Downtown Norman Fall Fest will bring thousands to The Walker Arts District to enjoy trick-or-treating, performances, inflatables and lots of other family-friendly fun. This year’s event will be proceeded by the installation of decorative street lighting on the 200 East Block of Main Street — sponsored by Norman Downtowners and a variety of Downtown Norman businesses, organizations and events — that will cross over and back across the block and be lit up year round. That lighting will expand into surrounding Main Street blocks in the years ahead. During the week of Monday, October 30, Norman Forward’s first Percent for Art project will be installed and dedicated, as well. Splash — created by Mark Aeling — will be installed at the Westwood Family Aquatic Center. A firm date for the dedication of the public art work will be set soon. Sooner Theatre will host a weekend’s worth of productions of Oliver! on Friday, October 20 through Sunday, October 22. The Depot will host Winter Wind Concerts from Terri Hendrix & Lloyd Maines and Beppe Gambetta on Sunday, October 15 and Sunday, October 22, respectively. There’s lots more happening across Norman during Arts & Humanities Month, as well.